PS: /me prays there are no typos..
Everybody get up and dance!! Doesn't mean we can't keep the party goin' till she gets here. So sorry I am late for my own party, but I have been sick. Mr Defender, loves your message, it must have taken you ages to make..thank you, I appreciate it. Rook thanks for starting the thread, and my birthday wishes. Not forgetting Henry, Ice, Catman and Invader...Thankyou all my friends, it really cheered me up. Growing old is compulsory, Acting old is optional! I know you, you just wanted to be fashionably late! Sir Henry, your monkeys are starting to frighten me. Glad you could make it, Maggie! Hope you get to feeling better. Thanks Defender, but I think maybe I'll stick with the Pepsi this time. 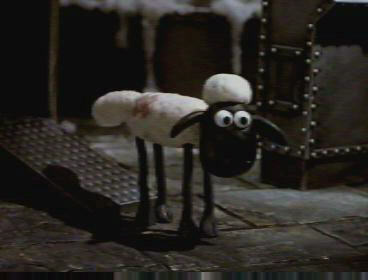 How many comercials can there be with counting sheep? In todays world, some company would sue someother company for that..